Bookings are now open for the 2019 IAML (UK & Irl) Annual Study Weekend. 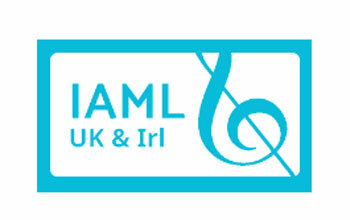 The booking form can be accessed from the IAML (UK & Irl) website at https://iaml-uk-irl.org/events/iaml-uk-irl-annual-study-weekend-2019-leicester . Being a member of the Conference Committee, I knew what the programme for the IAML (UK & Irl) Annual Study Weekend in Exeter looked like but of course it only comes alive when you’re there. I missed the previous ASW in Manchester so I was really looking forward to catching up with old friends and meeting some new ones! At the ASW on Friday 7th April, a new and revised version of Encore, the go-to site for orchestral or vocal sets in the UK, was premiered; the fruit of several months work by a number of people. This was the headline grabbing news in The Post Boy for the 26 th November 1695 on the death of composer Henry Purcell. Recognised as one of the greatest English composers, Purcell was universally mourned. But we wanted to celebrate his musical achievements rather than lament his death, not only as a prolific composer but also as a lifelong resident of Westminster. Those of you who avidly watch the website for new content will have been just a little disconcerted when you found that the site was offline for around 48 hours recently. You didn't notice? Ah well, there's another illusion shattered.